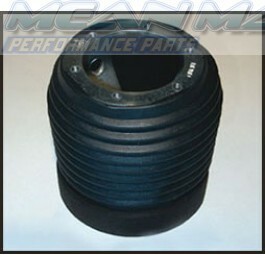 * Direct Fitting, Long Lasting and Reliable - QUALITY PART! * Standard 6 bolt fitting, the boss kit is compatible to most type of steering wheels, such as MOMO, RICHBROOK, ISOTTA, OPTION TUNING etc. * The PCD is the distance between opposing bolt holes across the middle of the steering wheel. A: Hi Fabrizio. I can confirm that this steering wheel boss kit will indeed fit your Panda 141A. Please specify your car again at check-out. Postage costs are automatcially calculated and are approximately 6 EUR. Q: Hallo, I bought a momo steering wheel for my fiat 131. 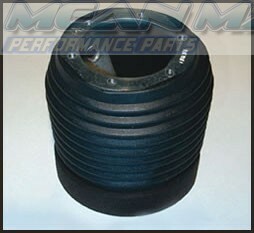 However, at momo website I couldn't find an adapter for fiat 131. There are adapters for fiat 124 spyder but not for 131. Are you sure this will fit to my fiat 131? Can yo tell me the for what size steering shaft is this hub for and how many teeth should have the shaft? A: Hi. The boss kit you are interested in has a diameter of 17mm and has 20 teeth. A: It should indeed fit, yes. What is the diameter of your steering shaft, where the teeth mate with your current wheel? How many teeth does the steering shaft have?